Garden season is right around the corner and here at the beginning of March we are anxious for that Spring and Summer weather. I know I am anyway. Well even though you think of garden season not to start for another month or two, it's is a good idea to know when you can start your vegetable seed. There are lots of benefits to gardening in early Spring and late Fall. It's not as hot and humid as in the summer, making working outside a little easier. You don't have to water as much. There are less bugs, especially mosquitoes. 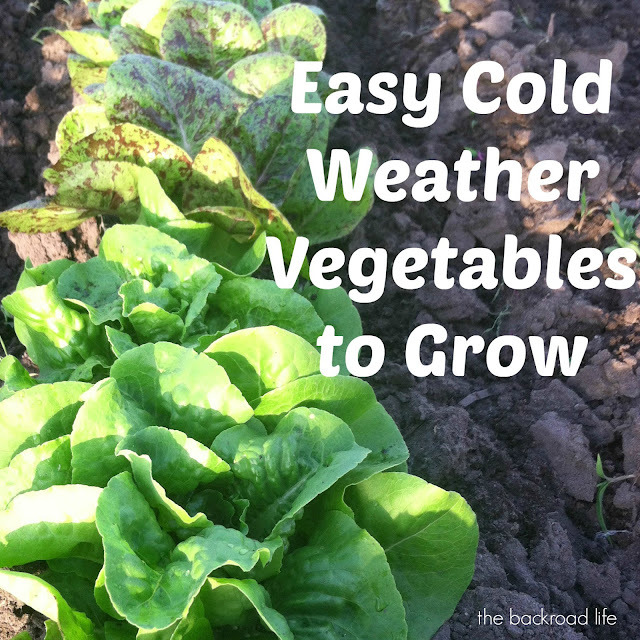 Plus there are a ton of great vegetables to grow during this time! Some take a little more work, but today we are going to talk about some of the easier ones to grow. I am in zone 5, but believe these would be fairly easy to grow in any zone with the right conditions. Look at the map to find your zone that you are in. We have a cold frame, where we start our earliest seeds in the greenhouse, then we plant them in the cold frame soil to grow. This gives us about an added month to our growing season. But here usually end of March/beginning to mid April (depending on the weather) we direct sow these cold crops outside in the garden. The crisp leaves are perfect for every salad. It is wonderful to grow your own lettuce for salads and other meals. There are so many varieties to choose from loose-leaf, butterheads and bibb lettuce, romaine lettuce, and crisp head lettuce. Also, plant a mix for blend of mixed greens. Lettuce can be directly seeded as soon as the soil can be worked. Lettuce grows best when the soil is moist and outside temperatures range from 40 to 70 degrees F. Sow lettuce seed about a quarter of a inch deep and roughly and 6 inches apart in rows or a broadcast the seed in a square area for leaf lettuce. Leaf lettuce is ready to harvest in 45 to 55 days. For head lettuce, plant roughly 12 inches apart. It is ready to harvest in about 80 days. Spinach is packed full of nutrients and great to add to a variety of recipes! Spinach is fast growing. Spinach can also be direct sown in early Spring or late Summer and plant about half an inch deep. Spinach leaves are ready to harvest as soon as the leaves are ready to eat, usually in 3 to 5 weeks. To harvest simply cut the outer leaves off about 2 inches from the ground, and let the inner leaves grow until the next cutting. This will allow for longer production. For larger spinach leaves, simply let them grow a little longer. You can harvest leaves and it will continue to grow and provide more. Spinach does tend to bolt when temperatures get warmer than 75 degrees F, so try to harvest as much of your spinach in the cool temperature. 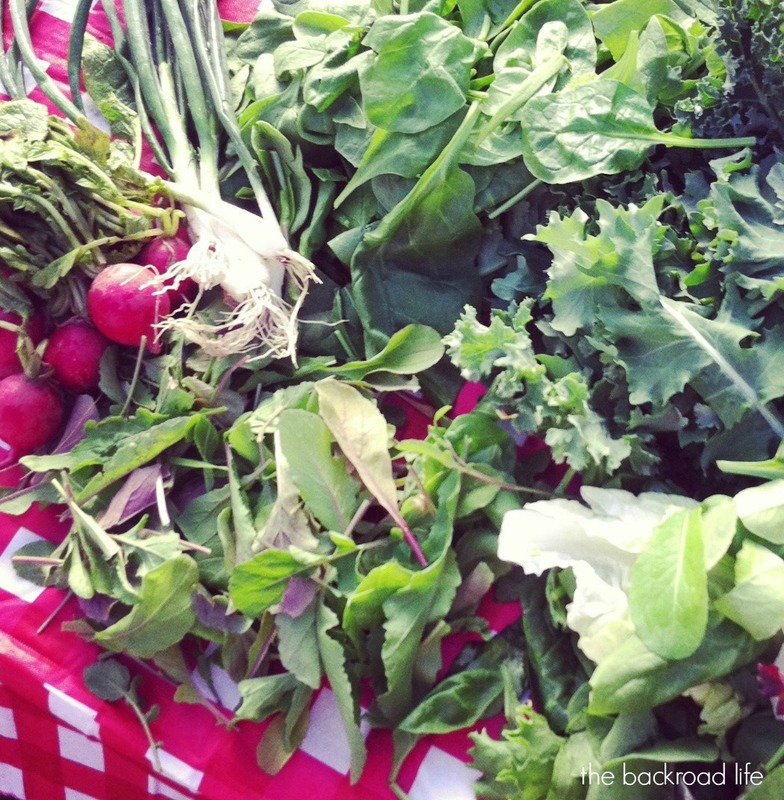 There are also so many kinds of radishes! Round, long, white, red, mild taste, or stronger taste. We mainly use radishes for salads or to snack on, but there are also some delicious looking recipes you can use radishes with as well. I prefer the mild tasting radishes, while my husband enjoys the ones with more of a bite to them. Direct seed radishes in early Spring and late Summer by planting 1 inch apart in rows. By doing the spacing at planting will save time of thinning out as they get growing. Radishes need the amount of space to develop. Radishes are ready to harvest in about 30 days. Be sure to not leave them in the ground too long or they will split, become too hot in taste woody texture. To harvest simply pull the radish out of the ground at the base of the plant, this way the stem shouldn't break off. Radishes store for a long time in the refrigerator in a sealed container so you can enjoy them for a long time. You can also eat the radish leaves. Green onions are great in salads, to add a little sweet oniony flavor to any dish, and to cook with. My husband likes to also eat them raw. Green onion can also be direct seeded to the garden as soon as the soil can be worked. Green onions plants can be grown from seed, sets, or transplants. The seeds are very small and take a little longer. We like to use onion sets! They are bigger and so create a little bit of a head start with your green onions. The onion sets, or bulbs can be planted in early Spring or late Fall as well. Actually we plant them all garden season long! But they are a great cold crop vegetable. For the onion sets, we dig a trench then place the onion sets about an inch apart and bury them in. Green onions are ready to harvest when the plants are at least 6 inches tall. Green onions are ready to harvest in as little as 30 days. If temperatures are right, let them continue to grow to form a little of the round onion ball at the end. Use the green onion plant as well as the white onion bulb for cooking. These are consistent plants in our garden that we plant and enjoy every year! Its very nice to start the growing season with easy crops and also to end the season. There are other great cold weather crops to plant as well (in the list above), but I find that these are the easiest and most commonly eaten. You might like a new seed sower and garden gloves to kick off the start to the garden season! Do you grow any of these in your garden?